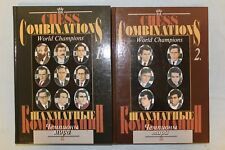 Lot of 10 Chess Books - Various. Condition is Good. Guide to the Chess Openings, Barden & Harding, 1977, 168 pages, descriptive notation, hardcover. Condition of books range from very good to acceptable. 3 books are in algebraic and the other 4 are in descriptive notation. One of the best chess magazines in the late 90s. Algebraic notation in all issues. Chess in an Hour by Frank J Marshall, with additions by Irving Chernev, Revised and Enlarged Edition, 1968 Sentinel Book Publishers Inc., paperback booklet, 96 pages, minor cover wear, yellowing of pages due to age, book appears to be unread, very good condition, no ISBN, SKU 2.21.35. By Suzanne McNeill. 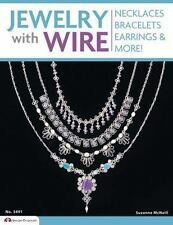 Bend 20-gauge silver wire into swirls and curls to create fabulous jewelry. Add a few beads for color. You will be stunned at the results. The jewelry is beautiful and striking. This is an indispensable guide to making bead jewelry covering all the essential beading techniques, from choosing colors and designing jewelry, to bead stringing, making findings and bead embroidery. A Practical White Repertoire with 1. C4: The King's Fianchetto Defences 2. Condition: Good. Notes: Item in good condition. 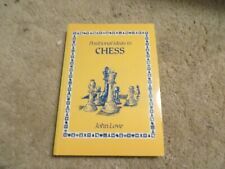 Complete Book of Chess Openings good condition. Attack and Counterattack in Chess fair condition. Chess "Trick and Treat" By Reubens good condition. Modern Chess Strategy by Edward Lasker good condition. By Mary Taylor Landon & Susan Burrows Swan. Traditional stitching crewel designs with detailed diagrams to duplicate. Dreev Vs. The Benoni. Author: Dreev, Alexey. Notes: Item in good condition. Condition: Good. Author: Nikita Vitiugov. French Defence Reloaded. Notes: Item in good condition. Condition: Good. Format: Book. Condition: New. Publisher: Independently Published. Vintage Allan Troy Chess Book-AT#3-German HARDBACK-Sicilian Defense. Rolf Schwartz's series is classic. It ranks up there with the Sportverlag series or with the Batsfords of their golden age. Worth every penny. We have five copies of varying quality, but they are all in good condition. Nice big Hardback Coffee Table Chess Book on GM Reuben Fine. George Koltanowski Blindfold Chess Genius Book. Four good books. Reuben Fine, once the strongest player in the world, explains the opening. Lev Alburt and Eric Nager discuss ways to improve. Jonathan Speelman examines the ending. Accept no substitutes! This chess book is in very good condition. The pages are clean and unmarked. It was printed by Chess Stars. The most notable one is the section devoted on the variation 6. It was divided on two separate parts for the retreats 7. Rolf Schwartz's series is classic. It ranks up there with the Sportverlag series or with the Batsfords of their golden age. Worth every penny. Our sale of 18th, 19th, and 20th century chess books and clocks is ongoing! Author: Lombardy, William. Condition: Very Good. Notes: Item in very good condition! Any discrepancies are not intentional. Glossy softcover book is in excellent condition. Otherwise, no writing or torn/missing pages. Published by Chess Digest in 1991. 283 pages with chess diagrams throughout. Has a small amount of red underlining at start of book. My photos have the full table of contents. This book provides 340 huge chess puzzles! You and your kids will love the book! The book will improve your chess sight! Both paperback books in excellent condition. The Modern Chess Instructor by Wilhelm Steinitz - 247 Pages 1889, 1976. The Life of Philidor: Chessplayer and Musician - 187 Pages 1863, 1976. 6 Chess Books and Literature. Canadian Chess Problems - 63 Pages. Author : Aron Nimzovich. We use the traditional book grading system of (from best to worst): As New, Fine, Very Good, Good, Fair, Poor. Dust jacket Condition : Fair, lots of edgewear, rubbing, large chunk of bottom front panel missing, chunk of top rear and spine missing. Any discrepancies are not intentional. Softcover book is in excellent condition. Otherwise, no writing or torn/missing pages. Rolf Schwarz's series is classic. It ranks up there with the Sportverlag series or with the Batsfords of their golden age. Worth every penny. Our sale of 18th, 19th, and 20th century chess books and clocks is ongoing! Two very good chess books. The first is Fred Reinfeld's study of Aron Nimzowitsch, a pioneer of dynamic chess and contemporary of Max Euwe. The second is a Max Euwe' advice to neighborhood champions. By Raymond Keene. Chess : An Illustrated History. Publisher: Simon and Shuster, 1990. Said Adolf Anderssen, "Always attack!". This book shows you how. A very good book. Worth every penny. Algebraic notation. Accept no substitutes! My Best Games Of Chess 1924-1937 By: Alexander Alekhine In very good condition. Some minor edgewear to the boards, mostly on the spine. The binding is tight and the pages are clean and intact. Small pencil scribble at the back. See photos. ALL SALES ARE FINAL. NO RETURNS. Unless there is a mistake in the listing. Any questions, just ask! I combine shipping! Please see my other listings for more books and clothing from the Nerdy Recessionista. World Chess Champions. by E. G. WInter. yellow highlighting on 13 pages. The Tarrasch book is heavily used, the other two show creased spines, and all three show obvious wear from use, handling and decades of storage. The World Chess Championship, Korchnoi vs Karpov Condition is Acceptable. Shipped with USPS Media Mail (2 to 8 business days). Glossy softcover book is in excellent condition. Otherwise, no writing or torn/missing pages. Any discrepancies are not intentional. This disc is in a PDF format which is viewable and printable on any computer, it's NOT a format which can be watched on a TV with a DVD player. This ad complies with all Rules and Regulations. It covers everything from tools to supplies and how to get started. Chess Lyrics: A Collection of Chess Problems ©1905 – By: A. F. Mackenzie – 588 pages. The list of books are as follows How to Play Chess ©1907 – By: Charlotte B. Rogers – 176 pages. E. C. Buffington – 52 pages. This book provides 340 huge puzzles that should help you to create a good chess vision without using a chess set. You or your kids will love the book. Emanuel Lasker was asked to give a series of lectures in Great Britain. These led to this work, which aims at helping the beginner to play rationally. We have an ongoing sale of 18th, 19th, 20th, and 21st century books! There were several small chess books printed right before World War II. This is one of them; it dates from 1945. It consists of positions with solutions, a sort of problem book. English Descriptive. "Button Jewelery: Over 25 Original Designs for Necklaces, Earrings, Bracelets and More". 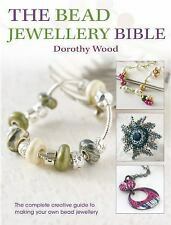 • Over 25 versatile designs include necklaces, bracelets, brooches and hairslides. Raid the button box and transform forgotten treasure into stylish, desirable jewelry.